If you're looking for work, you must be wary of the countless scammers out there who prey on job-seekers, usually with the hope of either cheating you out of what money you have, or tricking you into joining an illegal money-laundering operation (with possibly felonious consequences for you). Sometimes these scammers place bogus help-wanted ads and wait for potential victims to contact them. Others will make first contact themselves, sending emails either to random people or to those who posted resumes on various online job-hunting sites. Naturally, these scammy come-ons come in a variety of forms and flavors. The most obvious ones can be recognized at first glance, because they're riddled with spelling or grammatical errors that wouldn't pass muster with a middle-school writing teacher, let alone an actual grown-up business organization. If you see a message, allegedly from a well-known company, yet the company's own name is misspelled (Disneyworld, Netflicks, FeDeX, etc. ), you can delete it without a second thought. Indeed, many scammers deliberately make their messages look and sound as scammy as possible, to weed out anyone savvy enough to scent a scam at first glance. From a con artist's perspective, this is a sensible time-management tool: you don't want to waste time stringing along a potential “mark” who's likely to wise up and back out at the last minute. In 2012, Microsoft commissioned a study (available as a .pdf here) that asked “Why do Nigerian scammers say they are from Nigeria?” and concluded that the ridiculously obvious scam emails were often written that way on purpose, to reduce “false positives” from people who “are attacked but yield nothing” (in terms of profit for the scammer). But not all scammers do this. Other scam operators do indeed strive to sound and look legitimate at first glance. The various job scams I've seen here at ConsumerAffairs seem to be divided 50/50: half are scams at first glance, combining atrocious spelling with job offers that sound (and are) too good to be true. Yet the other half initially look and sound almost legitimate, with real-sounding company names and not too many typos. It's very easy for a scammer (or anybody else) to copy the logo and text off a legitimate company website, then use it to make scam bait. Such bait still contains certain “scam signs,” but those signs aren't necessarily obvious at first glance; you might need to do a bit of research to find the clues indicating something is wrong. Last week, a woman named Nayana wrote to say she'd encountered a job scammer similar to one we'd warned about last February, although “I believe my guy was a lot more careless and amateur,” as Nayana said. Nayana backed out before hearing his actual pitch, so she doesn't know if he was an advance-fee scammer hoping to cheat her out of money, or a money-laundering thief who sought Nayana's help in transferring stolen funds out of the country. Nayana is a college sophomore in northern California currently looking for off-campus work, and as part of her job-hunting effort she opened an account on Snagajob. The message itself sounded like a fairly standard HR-department form letter response to a low-level job applicant, supposedly from a company called “iQnovate Group.” As Nayana later determined, a business by that name actually does exist – almost. The real name has different capitalization (IQnovate) and also a different mailing address from the one on Nayana's email. More to the point, the real IQnovate company is in Australia. You are required to setup a yahoo mail account (deleted link) and a yahoo instant messenger (deleted) or Gmail account (deleted) then download the app from you app store i.e for smart phone and for PC you can download one from the Gmail webpage (deleted) to download the app. After this process is done,you're to add up his yahoo ID/ Google Hangout ID (andrewroberts19 -at- yahoo.com) or (andrewroberts727 -at- gmail.com). Nayana's friends assured her that interviewing for a job through an online video call was normal, so she started researching the company in preparation for her upcoming interview. That's when the scam-alarm bells started ringing. More than likely, “Andrew Roberts” intended the video chat to look and sound as much like a “real” job interview as possible. Even if he lives and operates out of a shabby one-room apartment, it's not too hard to dress up one small corner of it to look like a respectable business office – and ensure the lens of his webcam focuses only on that one small corner. Then, if Nayana or any other potential victim fell for it, one of two things would likely happen. If this were an advance-fee scam, she'd receive her first paycheck almost immediately, likely before she even did any work. But that check would be for more than her actual “salary.” For example, she might be told that her pay is $2,000 per month – yet her first paycheck would be for $3,000. Roberts or one of his co-conspirators would've told Nayana to deposit the check in her own account, keep $2,000 for herself, then withdraw the other $1,000 and send it to the scammer – to “refund” the “overpayment,” or to “buy supplies” needed for the job. Any legitimate job will either provide you with the supplies and equipment required for the gig, or expect you to provide these yourself (an honest online job will certainly require you to have a computer, for example). However, no legitimate employer will require you to pay him money so he can buy your supplies or equipment — even if you need to buy a better computer, you get it yourself rather than send money so your “new employer” can buy one for you. Always remember that money only ever flows in one direction with real jobs: from worker to boss, from employer to employee. Only a scammer would try to reverse that flow. So one possibility is that Nayana's scammer hoped to pull off some form of advance-fee scam. More insidious is the second likely choice: the money-laundering scam. In January, the FBI's Internet Crime Complaint Center (IC3) issued a warning that such scammers were especially targeting college students searching for part-time work – which certainly describes Nayana. Such scammers don't limit themselves to students, though; earlier this year we told you the story of Ryan, a retiree who got ensnared in a Ukrainian money-laundering ring (but fortunately did not face any criminal charges, thanks to his prompt cooperation with bank officials and law enforcement). Again, the way to avoid this scam is to remember that workers do not give money to their bosses, nor do they ever spend their own money on their employer's behalf. Even if you get a job in a company payroll or accounting department – in other words, the sort of job where you genuinely do take company money and send it to other people – you are never expected to use your own bank or financial accounts for these tasks; you use the company's business account for this. Thank you for reaching out, sorry to hear about Nayana's close call with this scam. Our job seeker customers are our number one priority and I'm happy to share with you our multi-step process to ensure we are doing everything possible to combat individuals on the internet who are attempting to scam our customers. As you know, our industry is more vulnerable to possible scams than others and that is why we have such a dedicated team working at protecting our customers. Customer support: This team monitors our entire site for suspicious activity to try and catch all scams before they reach our job seekers. 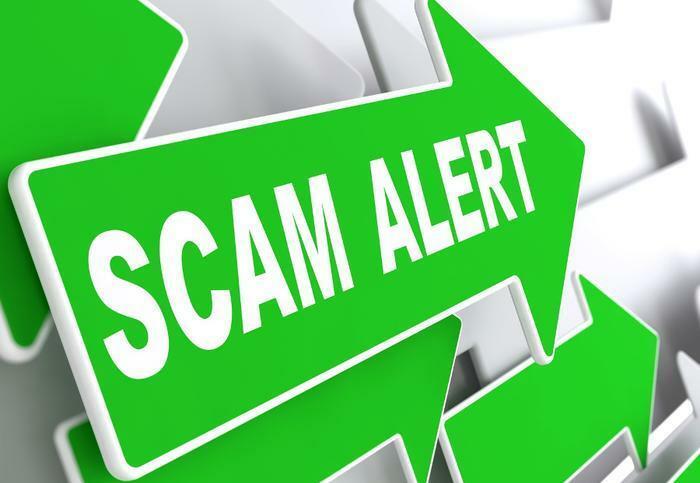 In the event a scam does reach them and it is reported to us, we respond immediately with an email to educate the job seeker on how to protect themselves against future scams and how to report any and all suspicious activity. Security Center: Our Security Center, which can be accessed right from our homepage (http://www.snagajob.com/security/) addresses safe practices, scam/threat awareness and ways to report possible scams to Snagajob and the Internet Crime Complaint Center - a partnership between the FBI and national White Collar Crime Center. Our team is doing everything is can to protect our customers like Nayana and appreciate her helping us flag this specific scam attempt.